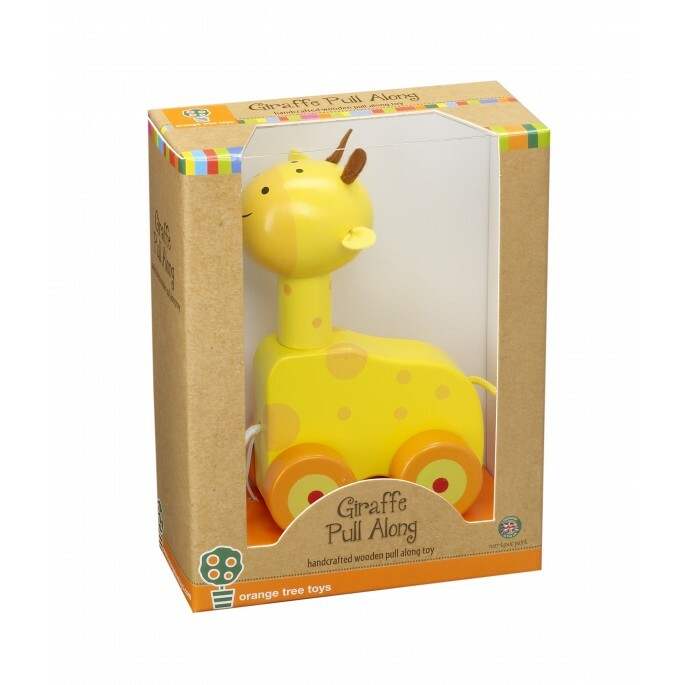 Make friends with this beautiful wooden pull along giraffe from our safari range. 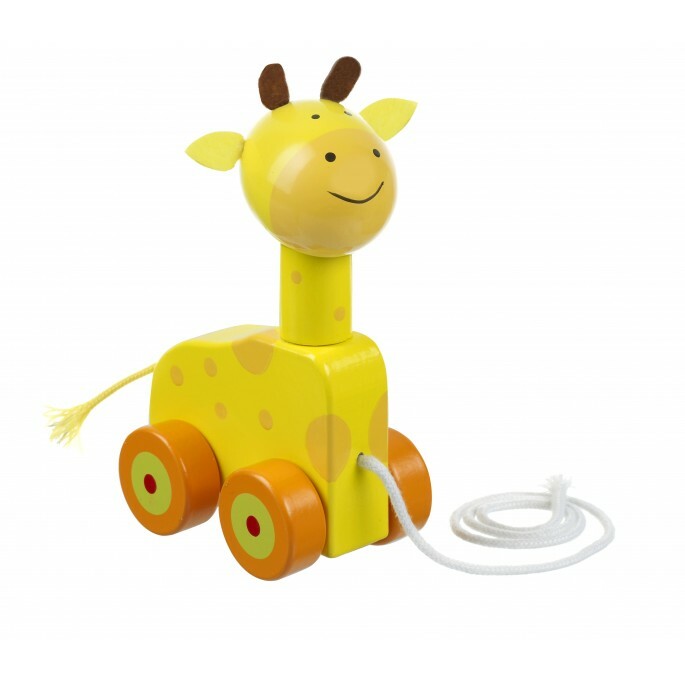 Painted in bright colours, this cute giraffe will follow you around as you pull him along. Perfect to encourage those first steps.